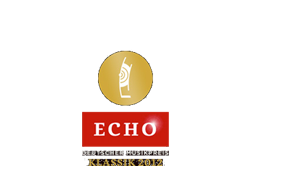 “Birth of The Violin” played by Rebekka Hartmann wins the 2012 Echo Award for the best solo recording of the year on the violin. 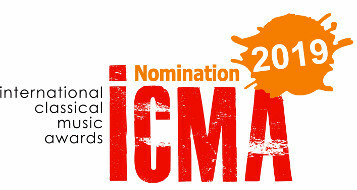 The Pièces de Clavecin for solo cembalo are among the most popular works by great French baroque master and Bach contemporary Jean-Philippe Rameau. Eugène Ysaÿe, leading violinist of his time, outstanding representative of the Belgian school and prominent conductor and composer, arranged four of these pieces for violin and piano. Margarita Oganesjan has taken Ysaÿe’s piano arrangement and created a progressive, personal arrangement for the Hartmann/Oganesjan duo. Allemande, Rappel des Oiseaux and the final piece, Tambourin, were taken from the first suite of the Deuxième Livre, which appeared in print in 1724. Ysaÿe took the third movement, the Menuet, from the Nouvelles Suites, the third book of the Pièces de Clavecin. In Ysaÿe’s day it was very fashionable to arrange popular works from various eras, in particular the baroque and classical periods, for violin recitals and other chamber music ensembles. Fritz Kreisler, Johan Halvorsen and Heinrich Wilhelm Ernst are other examples of the popular arrangements of the time. For a long time I have been looking for compositions that I can combine with J.S.Bach’s Partitas and Sonatas without having to doubt their compatibility. “In Medias” by Anders Eliasson stands for me on a pedestal with the transcendent energy of Bach’s solo works. Eugène Ysaÿe (1858-1931), leading violin virtuoso of the Belgian school and the most important Walloon composer of the 20th century, wrote his six Sonatas for Solo Violin in 1923. Each one is dedicated to a fellow violinist and makes reference to their personal style. Ysaÿe wrote Sonata No. 3 in D minor for George Enescu, the exceptional Romanian violinist, composer, conductor and pianist. 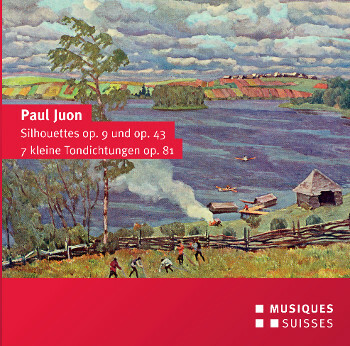 Written as a single movement, the work known as “Ballade” is particularly compact and compelling. […]For 10 years now I have had the pleasure to observe the impressive development of this extraordinary artist during our highly inspiring cooperation […]. 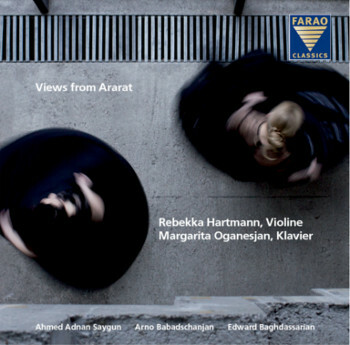 The gorgeous, captivating musicality of Rebekka Hartmann is based on a breathtakingly brilliant technique only few violinists can call their own […] Her vaste knowledge of the interpretation of various musical styles, plus her compassionate character combined with talent, have given me singular enjoyment in my long career as a conductor. [..] Her technique, her intonation and her musical skills were flawless and perfect. So she could not only delight her colleagues and other performers but also the audience with many experienced listeners who were impressed by her artistic achievement and her knowledge and appreciation of Mozart. It was a great pleasure for me to make music with her [..].